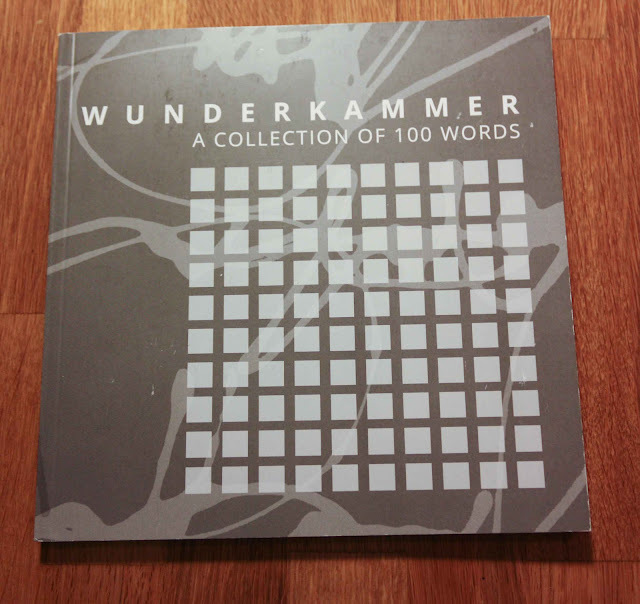 The catalog from Birgit Nass and Massimo Polello' s exhibition 'Wunderkammer, A collection of 100 words' arrived from calligraphity.com. 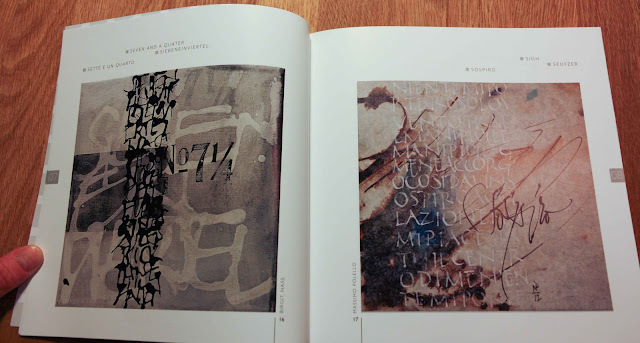 I am a big fan of Birgit Nass calligraphy and unfortunately I have not seen the exhibition live. 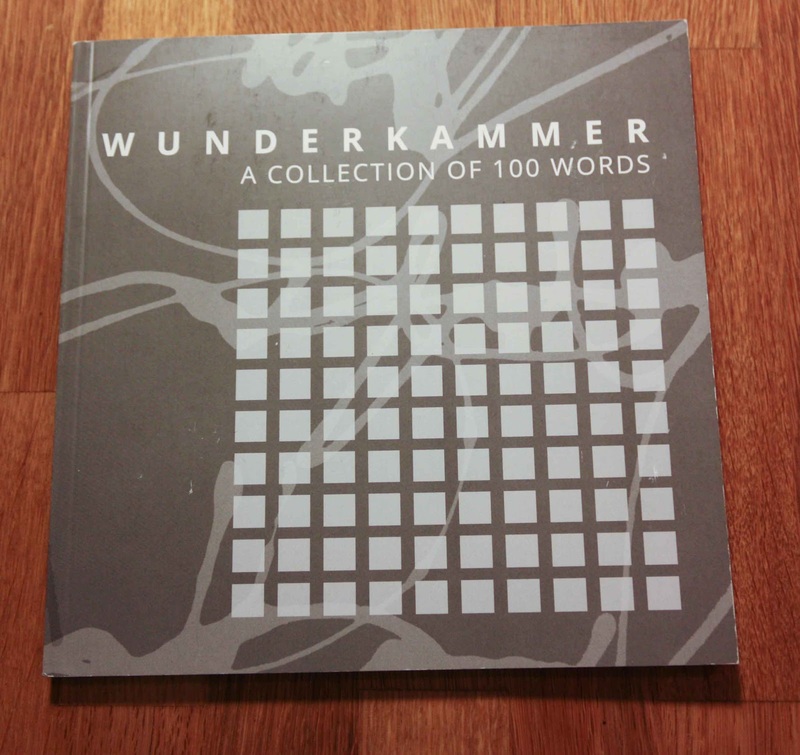 The catalog with 100 close pictures of their works are a good substitute. Spread from the catalog, two of hundred treasures.